This travisher kit gives you the opportunity to make your own travisher with a considerable saving of money. The satisfaction of making your own hand-tool and then using it on a project is enormous. The block is made of hard maple which wears very slowly even on hard woods such as elm. It has been CNC-machined to fine tolerances and has the blade already fitted. This eliminates the most difficult part of making the travisher. The fixings are already fitted to the block so that the position of the blade can be adjusted up and down by loosening and tightening two grub screws with the hex key that is included. 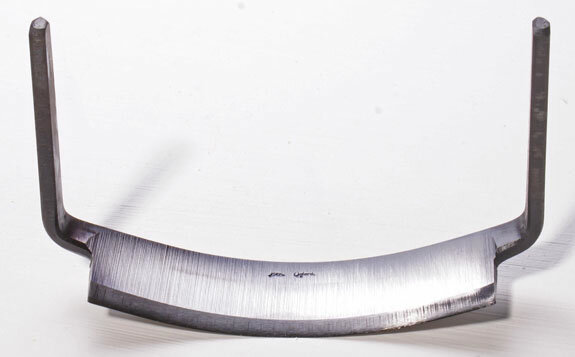 The travisher blade (made by Ben Orford) is of exactly the same quality as those supplied in the complete tool and comes sharpened and ready to use. Sharpening is simple, needing no more than a wooden dowel and strips of wet & dry paper. A band saw, pillar drill and drum sander are the ideal tools for shaping the block, although it would be possible to use only hand-tools if time was not an issue. 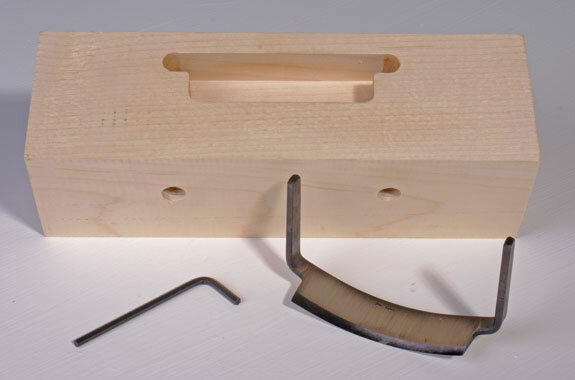 A serviceable tool can be produced in just 20 minutes, but longer may be required to produce a fine finish similar to the complete tool available elsewhere on this site. Almost any finish can be applied to the completed tool – oil, oil/wax, shellac and polyurethane varnish will all enhance the appearance of the tool. 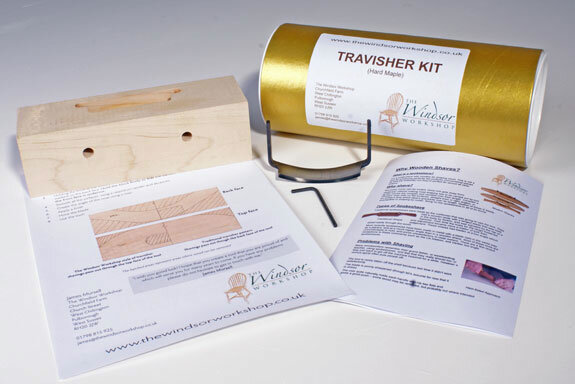 Detailed printed guidance is supplied with the travisher kit. 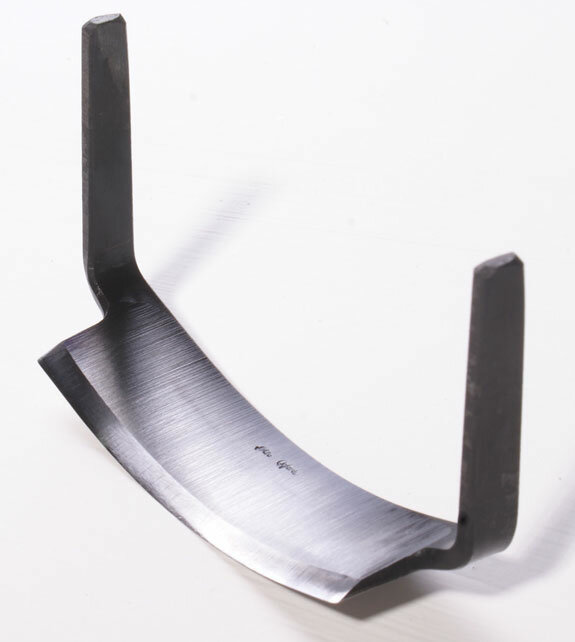 Although the shape of our completed tool is recommended, other shapes are possible. If for any reason additional blocks are required, these can be supplied at modest cost (without the blade and fittings). This also gives the opportunity to experiment with shaping the tool at little risk. Over the past years many tools have been successfully made from these kits. 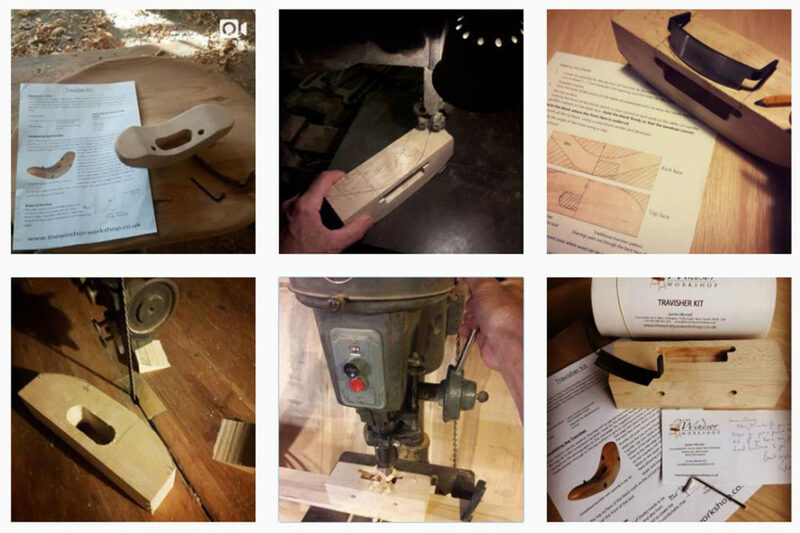 Series of images of making a travisher from a kit. These pictures were posted on Instagram by Craig Regan, from New York state. Follow him on: seatsculpter. Travisher kit article from 'Living Woods' magazine. 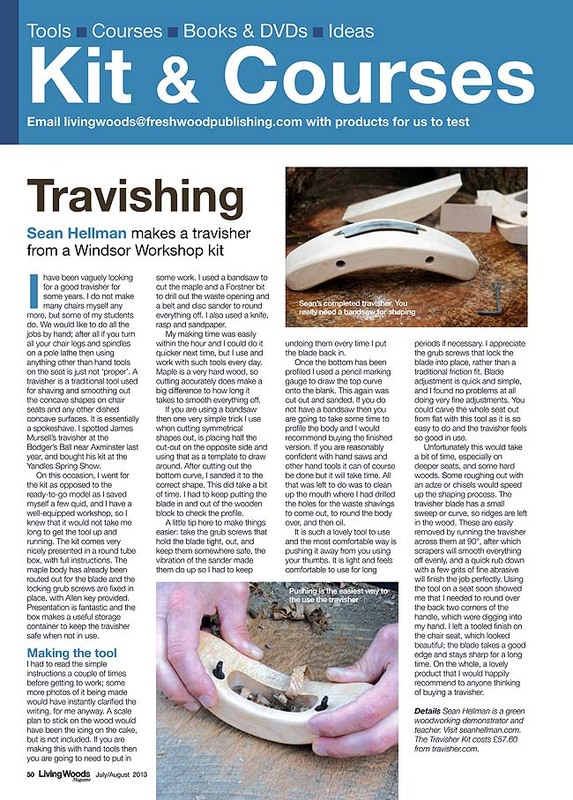 Sean Hellman makes a travisher from a kit and writes about it in Living Woods magazine.